This creation is by request. I adapted the Crisp Waffles recipe from 15 Spatulas. 1 tbsp amaretto liqueur or almond flavoring I use almond flavoring. Fold in 1/2 cup of marshmallows. 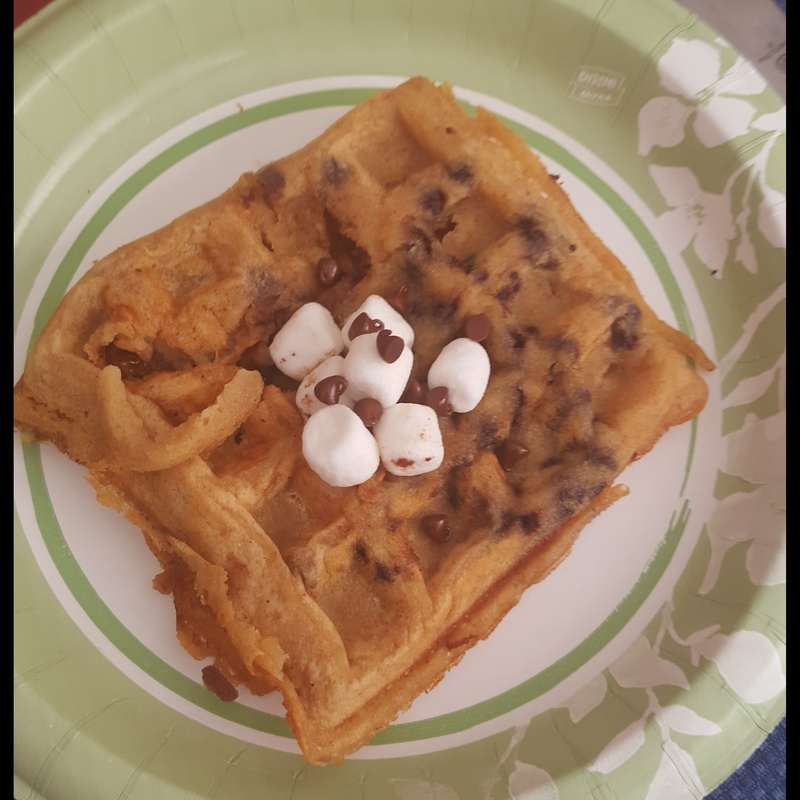 I found it works better to add the chocolate chips once the batter is in the waffle maker. The chips tend to sink to the bottom of the bowl. Coat waffle maker well with cooking spray. Pour the batter into a preheated waffle maker. Add chocolate chips and more marshmallows if needed. Cook for about 4 minutes. Serve with marshmallows and chocolate chips on top.